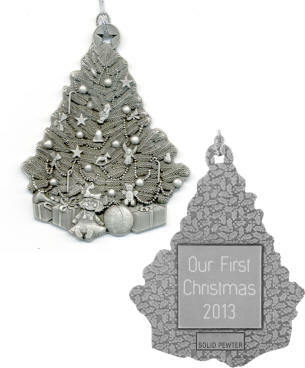 USA made solid pewter ornaments, available in four different designs. Each ornament has a blank engraving plate on the back, which is where we personalize your ornament. We will engrave up to three lines of text. Ornaments comes with a silver tinsel cord and is packaged in a red envelope.